I have been asked to work with WELLY foods again and this time I have some really great ideas for you to help you with ideas for feeding the kids, healthy and nutritious foods, both quickly and cheaply. Since many people may still be watching the pennies after the Christmas splurge, WELLY are hoping to spread the word about thrifty ways of feeding the family, with their #ThriftyEats campaign. 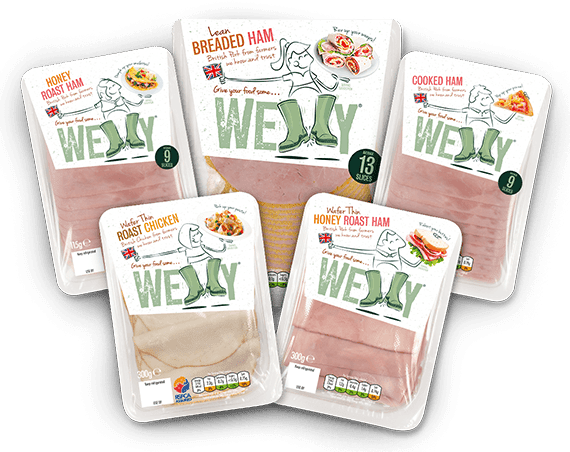 WELLY foods are makers of quality ham and chicken products. 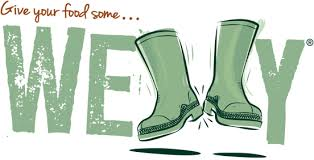 They place a lot of emphasis on flavour and their product range is rooted firmly in the farmyard hence the name WELLY. They like to source only the best pork and chicken for their produce. I have been sent a selection of WELLY ham and Chicken packets with the challenge of making a thrifty recipe - #ThriftyEats. Now I will be honest with you, my kids love ham, but we do tend to just make sandwiches or wraps with it. It was great to see that WELLY have provided a great range of recipe ideas on their website and all of them are quick and easy to make, using products you can usually find in your fridge. It's also good to know that they are also purse friendly. With half term coming up, it might be an idea to check them out for some great ideas. I know that my mind often goes blank when it comes to lunchtime during half term. What shall I feed them? After checking out the website, I decided to try to make the Ham and Quiche Cups. The finished product wasn't quite as muffin like as their photos suggest - mine sank pretty quickly after leaving the oven, but the kids enjoyed them very much and that's what matters most. *This is a collaborative post with WELLY Foods. All thoughts and opinions are my own.